A Baselworld 2015 novelty, the new Eterna Adventic GMT houses the 3914A manufacture calibre equipped with automatic winding, a date window at 3 o'clock, a small seconds at 9 o'clock and a practical additional time zone on a 24-hour scale at 6 o'clock. The anthracite dial is reduced to essentials adopting elongated indices with luminous dots. White Super-LumiNova is used also for the hands. The outer ring features a circular decoration which is reiterated at the centre of the two subdials. The orange touch used for the single hands of the second time zone and the small seconds adds personality to the timepiece and well harmonises with the warm brown of the ostrich skin strap. 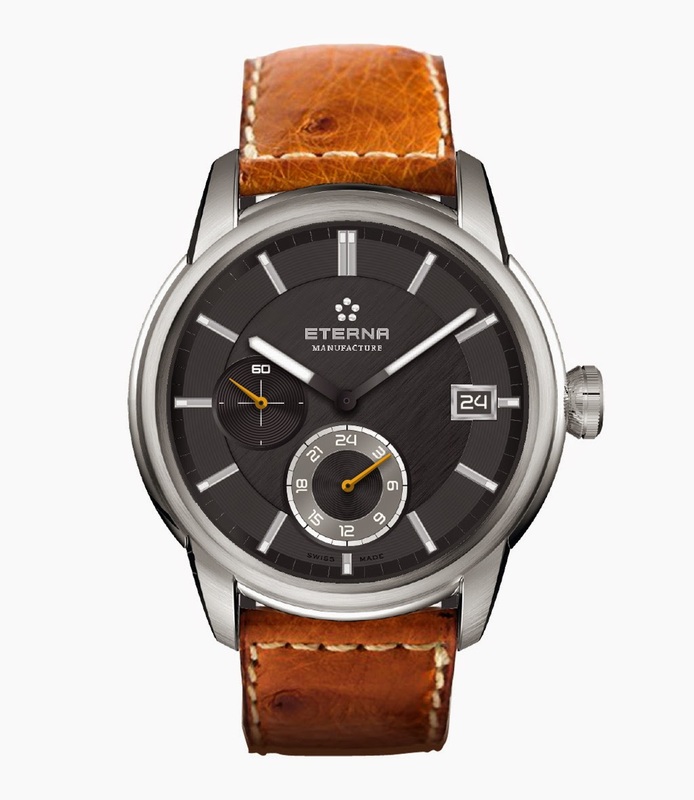 The 42 mm stainless-steel case is classic but with stylish details like the gently contoured bezel, the slim lugs and the knurled crown with five small spheres to represent the famous Eterna brand logo. 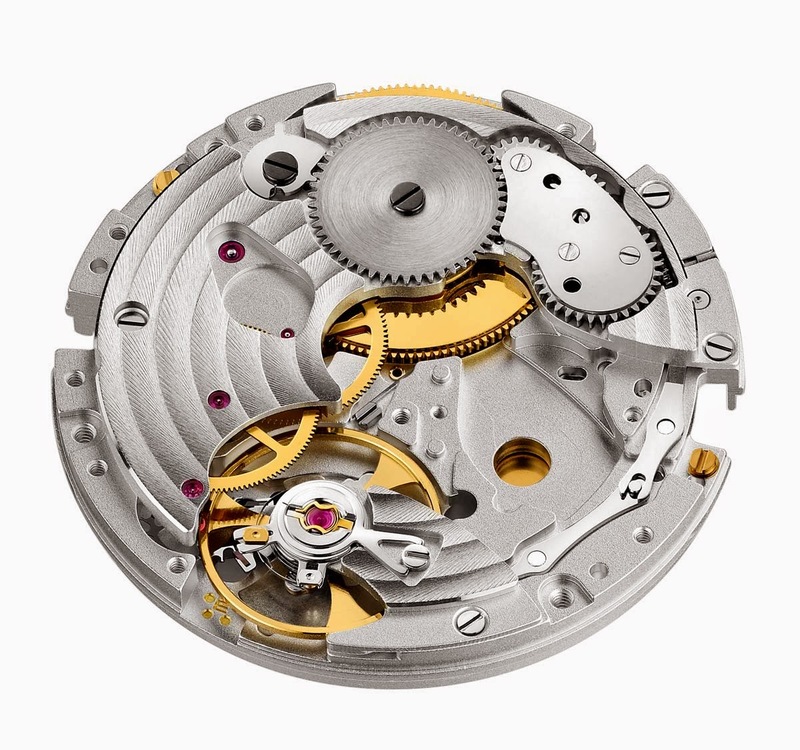 The 3914A movement is based on the innovative Eterna proprietary 39 calibre, which can be modified to produce no fewer than 88 different movements. Offering a chronometer-level precision and a guaranteed 68-hour power reserve, this movement is equipped with further-improved Spherodrive technology which enhances the quality and longevity of a mechanical movement. 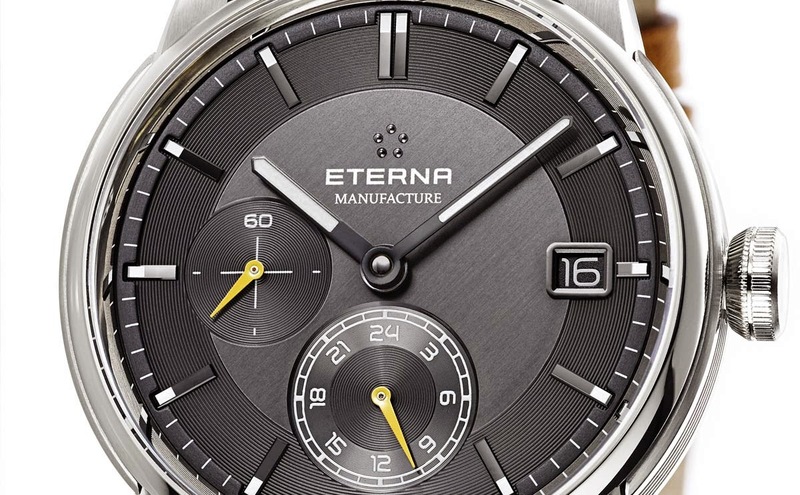 Basel 2015: Eterna Adventic GMT. A Baselworld 2015 novelty, the new Eterna Adventic GMT houses the 3914A manufacture calibre equipped with automatic winding. 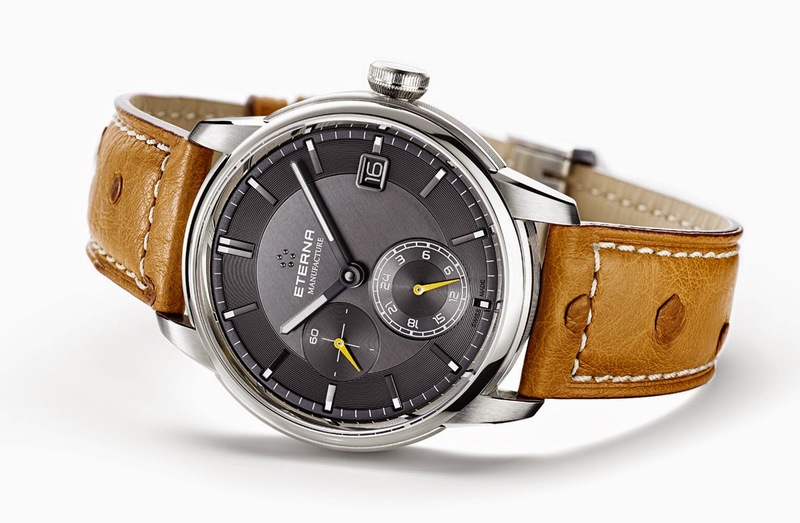 The Eterna Adventic GMT has a retail price of Euro 3,800 / Swiss Francs 3,900.